It seems like every season the major soccer brands come out with some be-all end-all new technology that’s supposedly going to change the face of the beautiful game as we know it. You’ve come to realize, of course, that not all of these innovations are as groundbreaking as you’re led to believe. So you probably have some ‘old faithfuls’ in your closet, classic leather soccer shoes from waaay back when$150 could buy you two pairs , not just a right and left cleat! 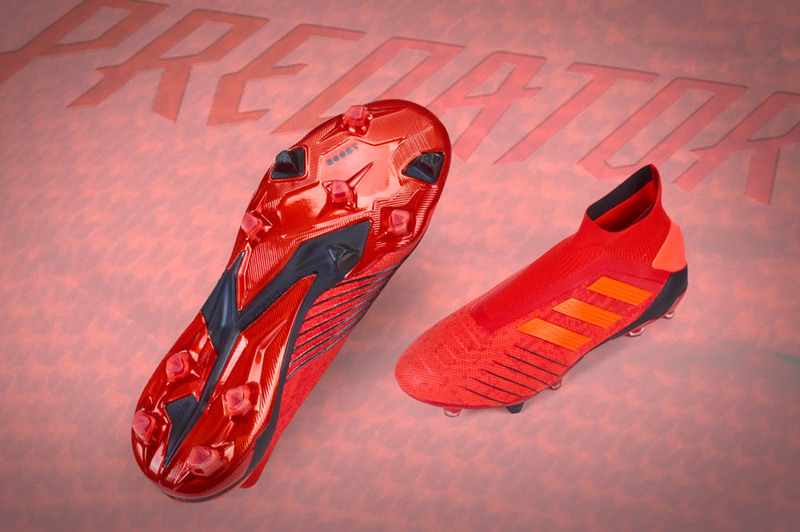 In a boot landscape riddled with gimmicks, glitz, and glam, you may be worried about how you’ll ever find a replacement pair of classic leather cleats.. Well breathe a sigh of relief my fellow traditionalists, the adidas adiPURE 11pro TRX is here! 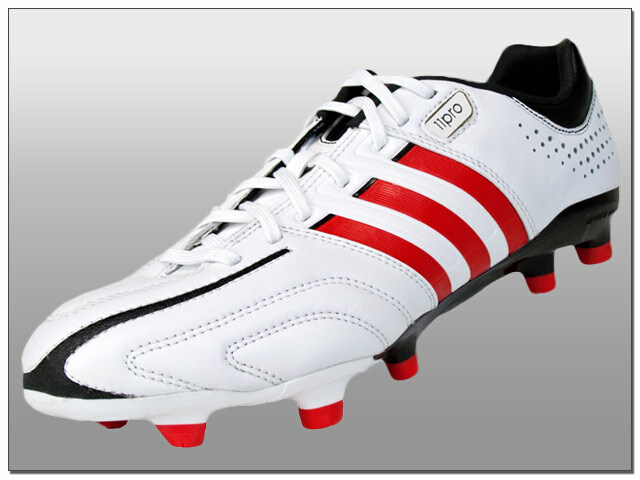 The adiPURE is the heritage line produced by adidas. Heritage boots are characterized by natural leather construction, expectation of consistency, and ease of wear. With the adiPURE 11Pro, tradition meets modern innovation and the result is soccer cleat delivering premium comfort and ball feel, at an outstanding value. The particular pair I had the pleasure of reviewing combined a modern running white/black/vivid red colorway with traditional adidas styling, right down the the iconic three stripes. But if you’ve read this far, you’re probably not to concerned about winning a fashion show, so let’s get to the meat-n-potatoes of the 11Pro. If you’ve ever worn an adiPURE shoe before, you’re quite familiar with the k-leather that adidas has long used for production. It’s gone now. Before you start weeping, the good news is they’ve replaced it with Taurus leather that comes in at a jaw-dropping 8.2 oz. Okay, so maybe this whole change thing isn’t so bad. 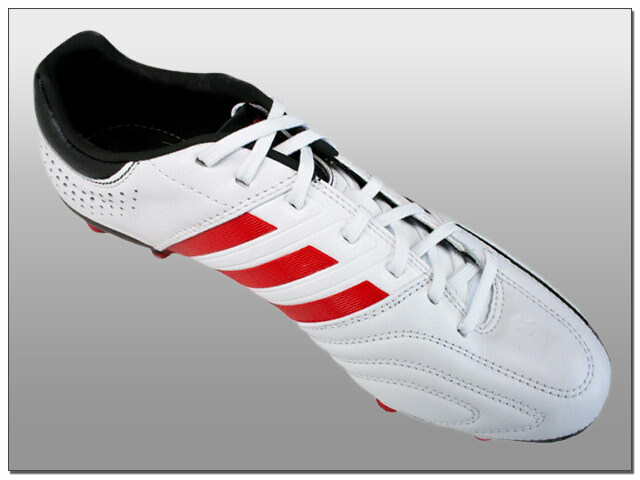 After a few jaunts around the pitch, you may also notice the new flex zones in the soleplate. 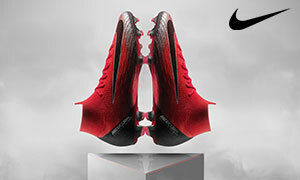 These make breaking in your new 11Pro’s a breeze, and ensure ultimate fit and comfort. Speaking of the soleplate, dual-cushioning studs with internal anti-shock tubes and new triangular TRAXION 2.0 configuration improve speed and ground penetration. Durability wasn’t overlooked, thanks to Duracoat ultra-thin layers of protection in high abrasion areas as seen below by the black stripe joining the upper to the soleplate. 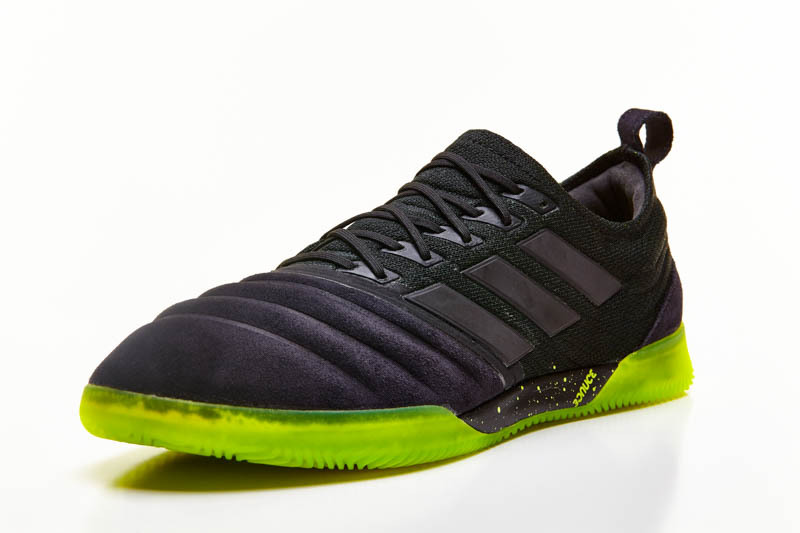 That the adidas adiPURE 11Pro calls the feet of players like Philipp Lahm and Manuel Neuer home is a true testament to the German engineering behind the boot. 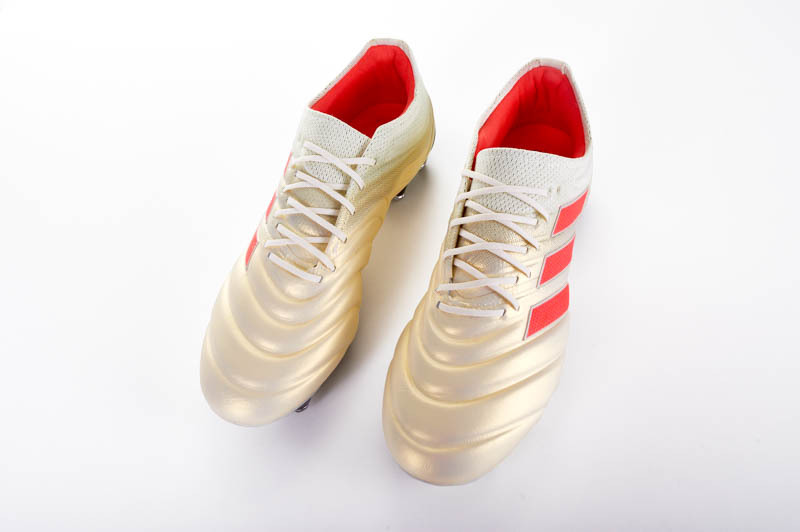 Adidas based it’s design off the World Cup boots the company produced for Germany in the 1978 World Cup, updated with modern materials and construction. Germany is a land of efficiency, and the adidas adiPURE 11Pro is proof!